School of Peace is the final phase of the two-day trip and it’s goal is to equip the students with an understanding of the value of peace and tolerance. School of Peace aims to convey a positive atmosphere in which students will grow as responsible citizens, aware of the necessity of respecting differences and nurturing a lasting peace. The power of the past is of great importance in building a just and peaceful future. There is no alternative to peace, for peace is not merely the absence of an armed conflict, but also an ongoing process of establishing mutual trust and respect, and it is important that students end their visit with that understanding. 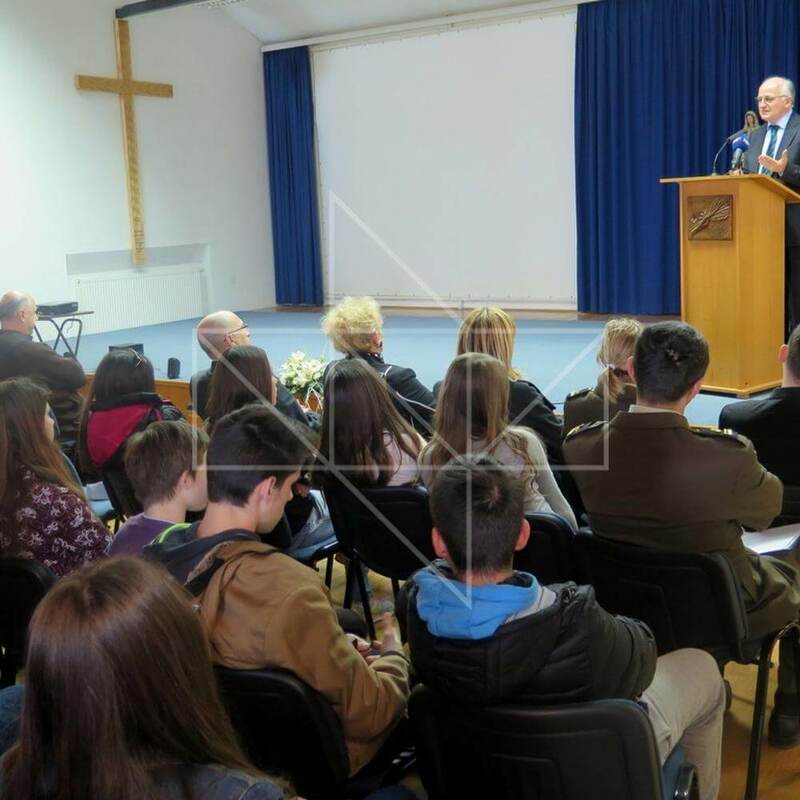 Public Institution “The Memorial Center of Homeland War” will always be open to building relationships with other cultures and will work to establish trust and cooperation among different nationalities. 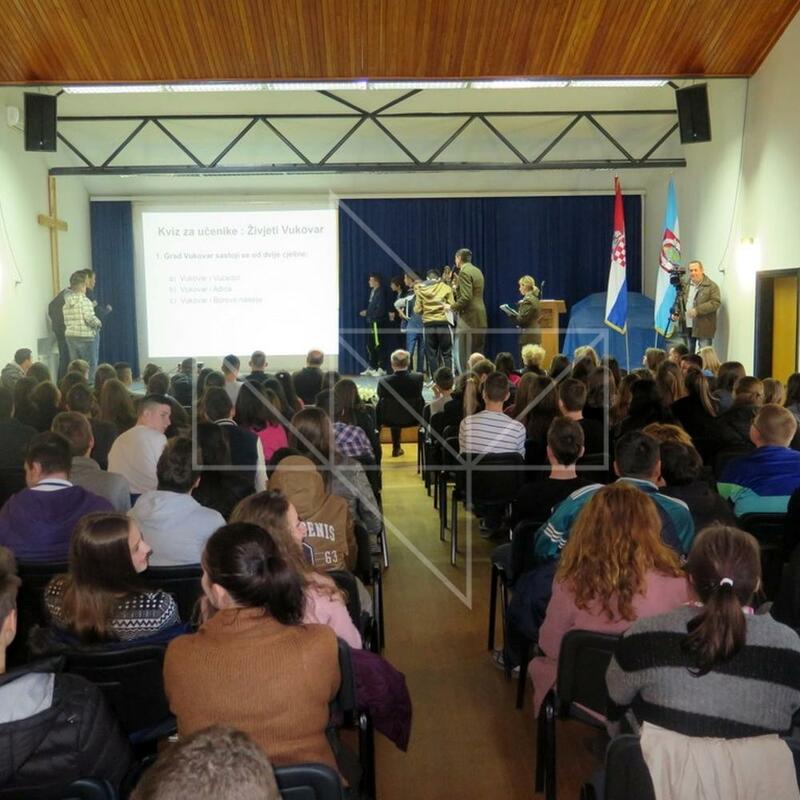 During the school year 2014/2015., the following people have participated as guest lecturers in School of Peace: The President of Parliament Josip Leko, Minister of Economy Ivan Vrdoljak, the Government of Democratic Unity 1991/1992, representative of the Minister of Defense, Lieutenant General Mirko Sundov, Ombudsman for Children Ivana Milas Klaric, a former minister and director of the VII Grammar School in Zagreb Ljilja Vokic, Croatian Olympic Tomislav Karlo, parliamentarian Vesna Skare Ozbolt and a lecturer at the Faculty of Philosophy in Split, Ph. D. Edi Milos.